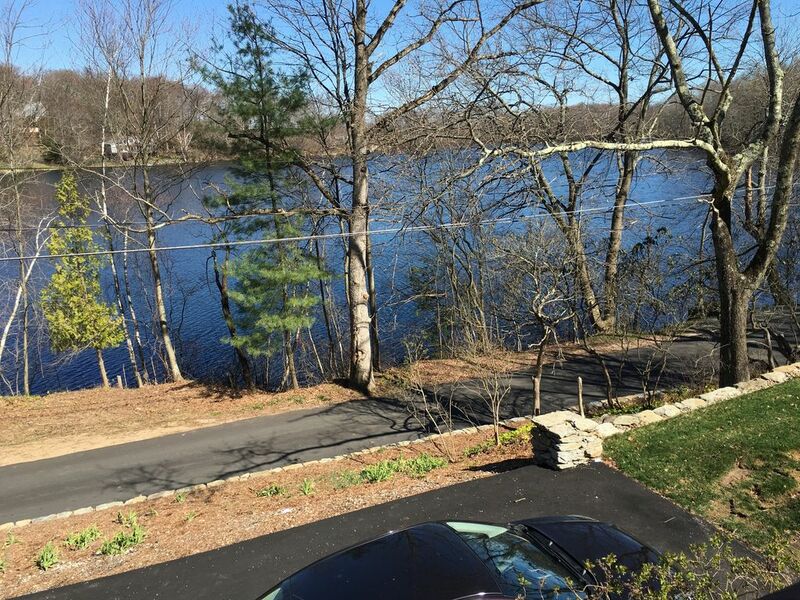 Recently remodeled home overlooking a tranquil lake in woodsy surroundings. Enjoy open floor plan with plenty of space to spread out. Large deck provides scenic views of quiet lake. Dual master bedrooms suites, steam shower and loft area offer something for all members of the family. Enjoy quality family time, playing games, ping-pong, sitting by fire relaxing or toasting marshmallows. This area is home to state parks, hiking, casinos and wonderful restaurants. Hi, I'm Judy, my sister and I invite you to stay at our vacation home. We totally updated and renovated our parents home. large custom made table made out of reclaimed wood and steel. The main living space is on one floor but there are stairs to access it. Such a warm and inviting house with SO much room and space! It was perfect for our Arbonne retreat and Judy was lovely!